AvaTrade, established in 2006, is among the top Forex brokers in the world with offices in New York, Dublin, Sydney, Milan, Tokyo and other locations. AvaTrade is regulated by the Central Bank of Ireland and licensed by MiFID in the European Union. It is also regulated by ASIC in Australia, the Financial Services Commission (FSC) in Japan, as well as by the B.V.I Financial Services Commission in the British Virgin Islands. There is one standard account at AvaTrade and it requires only a $100 minimum deposit. Leverage is offered at 1:400. AvaTrade offers both fixed and variable, or floating, spreads starting from 0.9 pips. In fact, AvaTrade’s spreads are among the most competitive of any internet broker. There are many types of orders at AvaTrade including Market orders, Limit orders, Entry Limits, Stop Loss orders, Entry Stops and Trailing Stops. Advanced orders– IF Done orders and One Cancels Other orders—are also available. Client funds are held in segregated accounts for increased security. Hedging is allowed as is spread betting. Spread betting is tax-free trading that involves placing long or short spread bets on more than 200 different financial instruments with leverage of up to 400:1. Spread betting is available on the popular MetaTrader 4 platform and can be done through a live or demo account. 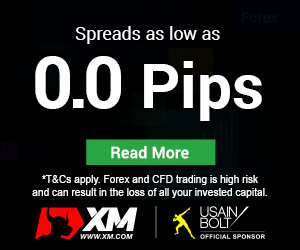 Spread betting is available exclusively to traders in the UK and Ireland. I was pleased to see when doing this AvaTrade review that a 21-day demo account was offered for traders just starting off in Forex trading. 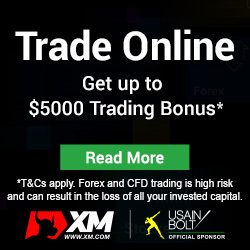 AvaTrade also offers a Forex Options platform. AvaOptions is the first accessible online platform for trading OTC basic Calls and Puts. AvaTrade has an award-winning multi-language support team that is available by phone to 34 countries, email and live chat. Customer support can be accessed whenever the markets are open. AvaTrade’s modern website and accessible top navigation makes it easy for traders to find what they’re looking for quickly and easily. In some categories such as the order types section, the website also breaks down the information into smaller sections so that traders will not feel overwhelmed by the sheer volume of information provided. We would have loved shorter withdrawal and higher spreads on some of the more popular currency pairs but we enjoyed the flexibility allowed by AvaTrader, both in terms of currency pairs and in terms of platform options. In any case I recommend it!